If true and complete happiness is what you want, let Jimmy DeMesa, M.D. help you get there with this e-coaching opportunity. 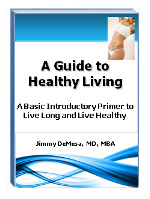 Jimmy's mission is to make people happier, healthier, and more fulfilled in life. So, regardless of what it is you need to BeHappy!, Jimmy can help you get there. 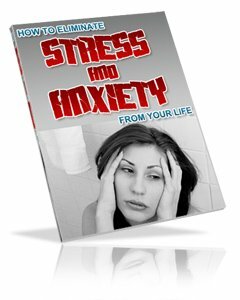 Whether you want better relationships, to lose weight, be more self-confident, control your emotions, raise happier children, be more successful in your job or career, or just feel more joy in your life, – Jimmy can help you develop a clear, personal plan of action that will completely transform your life into exactly how you want it. Jimmy has been a business partner with the well-known personal development expert, Tony Robbins, has several successful companies, has been a corporate CEO, and is a medical doctor. His first book - BeHappy! - has been the foundation for the whole BeHappy! 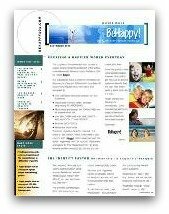 system, with a new book coming out in 2010 called BeHappy! at Work (get a FREE copy of the introductory e-book version by subscribing to The BeHappy! Newsletter at the bottom of this page). With this FREE introductory session you can send me an e-mail describing your issue(s). I will reply to your e-mail within 4-7 days and provide you my best information and advice to help improve your life - completely FREE and without risk. It's my way of helping achieve my mission of creating the happiest possible life for as many people as possible. Because of the high demand for this FREE session, I must limit the number I can accept at any one time. NOTE: When ordering this FREE E-Coaching, once you fill out the form below, just do nothing once you get your Thank You message asking you to select one of the "paid" packages. I will contact you within 48 hours to start your free session. With this plan you can send me 4 e-mails per month. I will reply to your e-mail within 3-4 days. Once you order this plan, I will send you a message with my personal coaching e-mail address which we will use to communicate. You can cancel this plan at any time. With this plan you can send me 8 e-mails per month. With this plan you can send me 16 e-mails per month. I will reply to your e-mail within 1-2 days. IMPORTANT GUARANTEE: I want you to BeHappy! with anything you purchase or experience on this site; our reputation depends on it. Nothing is more important to me personally than for you to be completely satisfied with the information you receive. So if you are not satisfied with anything you buy on this site, for any reason whatsoever, simply contact me and I will have a refund check cut and sent to you immediately. No questions asked. If you enjoy and get benefit from the free information available on this website, you're sure to appreciate the free newsletter as well. It's a $150 annual value - yours FREE. So sign up by filling in the boxes to the right. Legal Disclaimer (unfortunately required these days): These e-mail coaching sessions, as the name states, are "coaching" sessions and are not to be considered "therapy" or "treatment" for any mental or psychological conditions. I am not a psychologist and, therefore, these sessions are a simple process to help improve people's lives using proven and widely used methods. If there is the need for more "clinical" help, please consult a qualified psychological professional.